Member of the Medicortex's Scientific Advisory Board, Professor Asla Pitkänen was awarded a title of Neuroscientist of the Year by the Brain Research Society of Finland at the Minerva Foundation Symposium in Helsinki on 25th October 2016. Medicortex Finland Oy honors the designation. 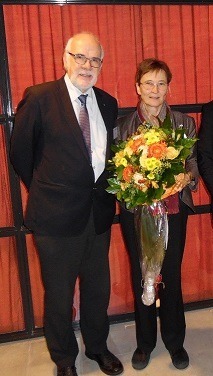 Medical Director Dr. Mårten Kvist (left) congratulating Professor Pitkänen (right) on behalf of Medicortex Finland Oy.